As described in the first part of this article, flow centers require a certain minimum level of inlet pressure in order for the pumps to function properly. The method of maintaining this pressure is what distinguishes a pressurized flow center from non-pressurized flow center. In some cases, the choice of which type of flow center to use is based on application constraints. But most of the time, the decision is based on preference. When faced with the decision, consider the pro’s and con’s of each type of system. Poor installation practices that result in leaks can cause pumps to air lock, flat loop service calls, etc. May require additional field-installed isolation valves for flushing/purging, servicing, etc. So, Which Flow Center Is Better? 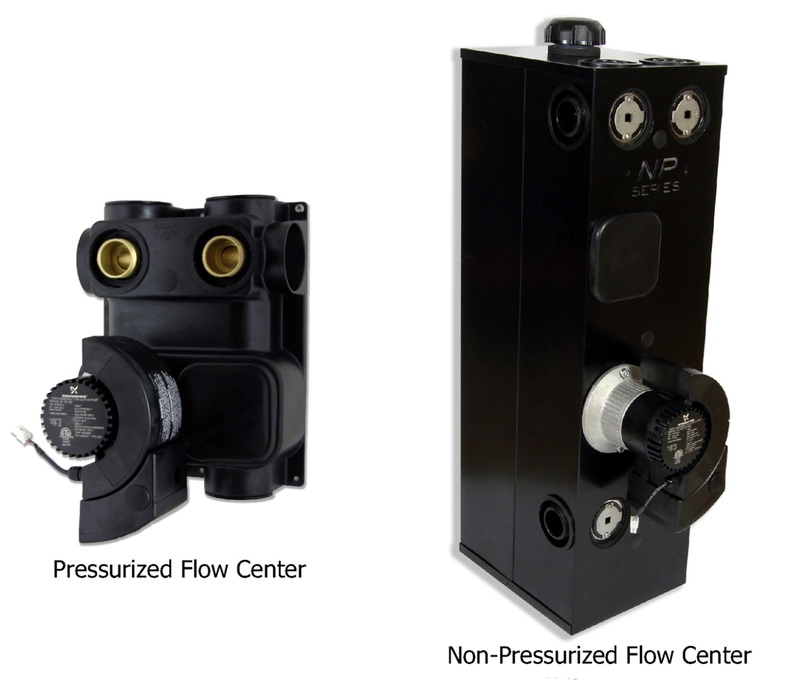 All differences aside, both types of flow centers will perform well when installed properly. Each has its own advantages and disadvantages to consider. In the end, it is up to the installation contractor, system designer or building owner to decide which system best meets their needs. The installation of an expansion tank is recommended to alleviate the concern of a flat loop. Requires an inside building header with isolation valves placed on each individual loop. Piping must not be located more than 30 feet (approx.) above the reservoir, which can only be installed vertically. Mr. Hammond is currently Director of Business Development and Marketing at Geo-Flo Products Corporation, a manufacturer of flow centers and accessories for the geothermal heat pump and hydronics industries. He started with the company in 2012, and has been in the geothermal heat pump industry for over 30 years. Previous to Geo-Flo, he was at Enertech Global for five years, ClimateMaster for nine years and WaterFurnace International for twelve years. Mr. Hammond’s experience in the industry consists of positions in R & D, engineering, product management, training, sales, and marketing. His education includes a bachelor of business administration from the University of St. Francis and an associate of applied science in electrical engineering technology from Purdue University. Mr. Hammond has been a member of ASHRAE since 1990 and has served on CSA, AHRI , and IGSHPA marketing, technical and advisory committees.